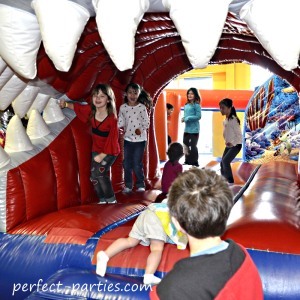 Great Party idea for those with lots of energy! 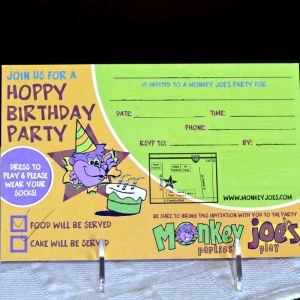 There are several that are franchises such as Monkey Joes that are in 17 or more states. 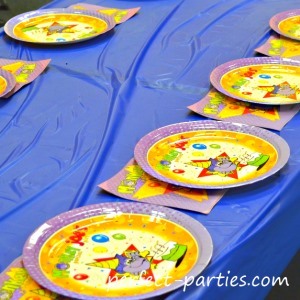 Each state may have their own franchises that operate there offering birthday party options. 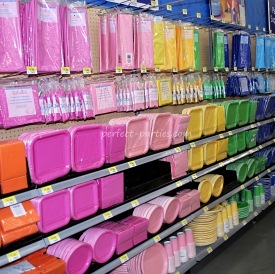 Some companies have a party room ready to go and offer paper plates, cups and utensils. They often have a tablecloth too! They will let you bring in a few decorations if you have your own theme you want to emphasize. Usually food must be purchased from the company but you may bring in cake and cupcakes to celebrate. Color scheme of company or your own. Bring in table decorations if you have a theme you are emphasizing. Many of these places offer invitations for your guests. Just fill in the blanks and send to your guests. Be sure to give time to reply. Also, if you require the children to bring or wear a specific type of clothing such as socks, be sure to notate it on the invitation. 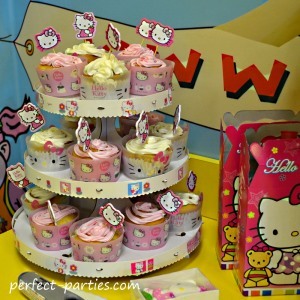 Most of these places which offer to host birthday celebrations will have a few items to decorate with such as table cloth, balloons and paper goods. 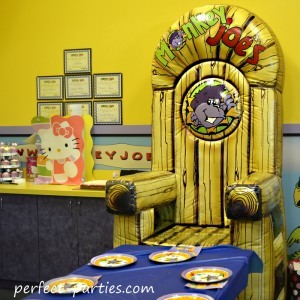 Monkey Joes offers this inflatable chair. Some places may have favor packages but it's usually more cost effective to make your own goodie bags. This is another area that you can personalize with the theme that your child wants. You are usually required to purchase their food but are allowed to bring your own cake. Some provide the paper products too. The bounce house equipment will be the primary activities however some have ticket grabs or arcade style games to play. Prefer to host it at your home? There are a number of rental companies that will allow you to do so. You may have to sign special waivers in order to rent their equipment.